Discussion in 'The Small Company Luthiers' started by brittwin, Feb 11, 2012.
new Crook in the house... Well worth the wait. 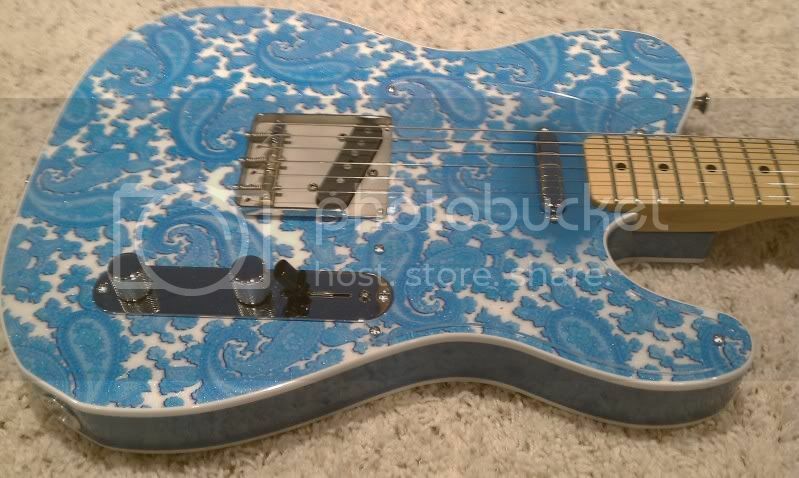 This is the updated light blue paisley print, now with depth and a hint of sparkle. Superb build quality. Thanks to Bill Crook for the time and attention to detail. Nice, what are the 59Ts? 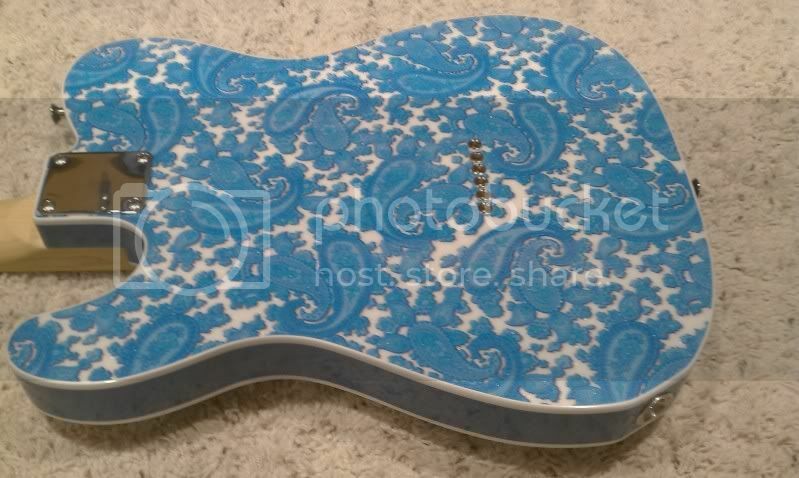 Great color for the paisley ! Cool. 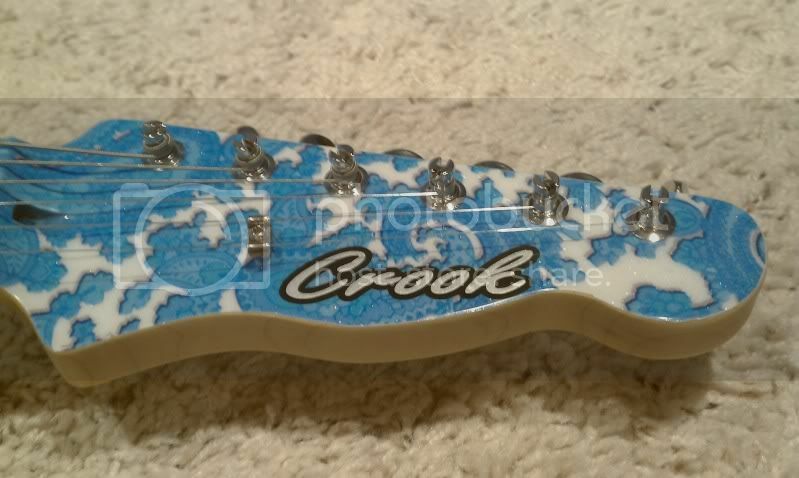 Congrats on the new Crook Custom. 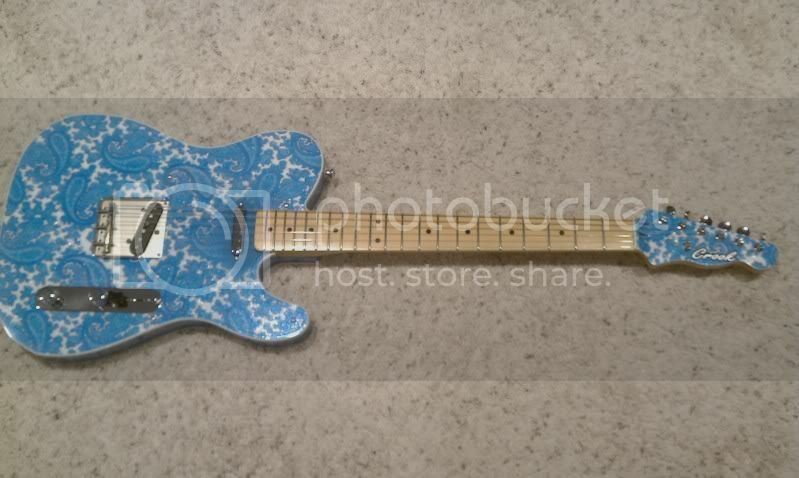 I would have loved to have given it a spin at the shop but was way under the weather to stop by and check out the finished guitar. The pics are nice but it's hard to capture the glitter going on. I did get to see the finished body and loved the new crisp look of this print. Anyway have a great time with the Newbie! Great choice from a great builder. you will enjoy it. Should have my new Crook in 2-3 weeks. Bill is a master at his trade. Saw this yesterday over on TDPRI and was WOW'd then and am WOW'd now!!! You got THAT right! I have a sizeable collection of guitars - but rarely play anything other than my Crook guitars. In addition, he is a fine gentleman and the nicest guy in the business!